I enjoyed a successful run of I am Zelda, my show about Mrs. F. Scott Fitzgerald, in celebration of Women's History Month, at the Actors Studio in Newburyport Massachusetts. To help publicize the event, I had the pleasure of doing a radio interview about Zelda. Take a listen at my segment between 15 minutes, 13 seconds and 28 minutes and 45 seconds. Thanks! Learn more about this show. that entertain and inspire her audiences. Her unique shows highlight her passion for storytelling, theatre, history, costuming, and literature. The love for her work is evident in every performance whether you are hearing for the first time, 19th and 20th century Gothic tales, being entertained by an Edwardian lady during her afternoon tea, watching a one-woman play about Zelda Fitzgerald, wife of F. Scott or meeting a 19th century Arabian princess from Zanzibar. Contact Rita and she'll be glad to advise you on the appropriate program for your audience and event. 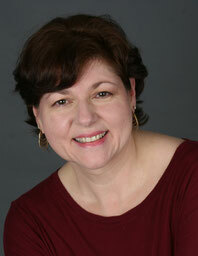 Meet Rita Parisi from Waterfall Productions. Click here to read article from Boston Voyager.